Here is my review on the Alyan Arisoft and Reaper Airsoft GBBR m4 hi-cap mags. For the purpose of this review i am using my bog standard (no npas) WE SCAR rifle. why HPA mags?, i really don't like real caps, gas can get expensive, gas mags are not cheap, winter, and i already have HPA gear. This was the first out of the 2 mags i bought. from the outside this mag looks really nice, however its not very good at all. My first problem was i could not get bb's to feed, they kept getting stuck in the alloy top part, i found there was a small tube inside the head, 5mins with some emery paper soon sorted that, then on to testing. I could not get the FPS above 265fps (0.25's) and the FPS would vary wildly from shot to shot, i went as far as getting a palmers regulator and taking the air pressure up to 180PSI, with out joy. at this point i decided to open up the mag and see what was what. Just behind the fitting that screws into the alloy block, was clogged with PTFE tape, and this lead to another discovery ... the valve that Alyan use's is ... well rubbish. It is not one that's designed for gas, its backwards (literally), and you are relying on the spring that goes to the brass striker on the back to keep it closed! (unlike most valves that the gas pressure aids in keeping the valve closed, this one the gas fights against the spring). No matter what i did, i cannot get this mag to work. After being burned by Alyan, i noticed that a lot of people who ran GBBR's, used standard WE mags but with the russian HPA tap. This is where Reaper Airsoft comes In! They don't try to reinvent the wheel (valve arrangement) they do it right, basically they use the top end of a standard WE GBBR mag mated to the hi cap mag, and it works brilliantly, proper British engineering!. with approx 65PSI i was getting 300FPS (0.25's). They where brilliant when i was asking about the mag, and sent me loads of pics that i asked for. Now don't get me wrong, it is £140, but it works! and for me its worth every penny. 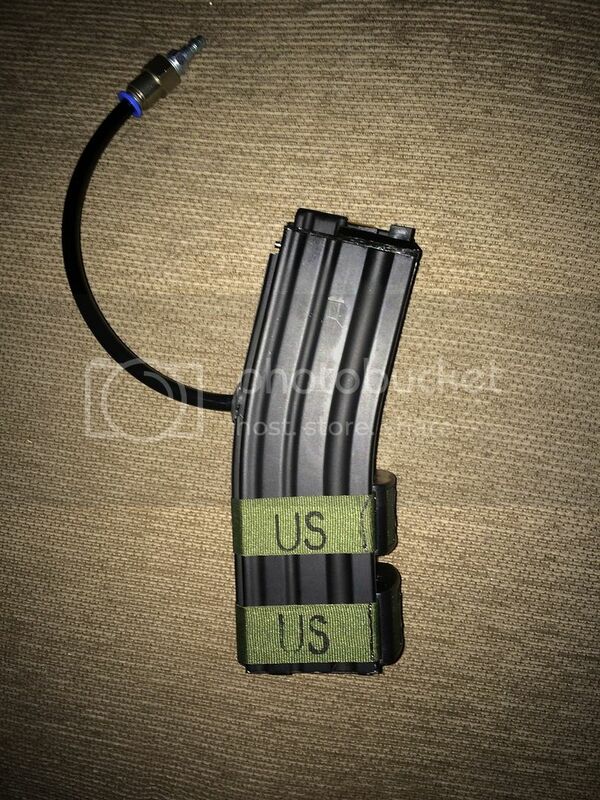 Reaper Airsoft = extremely well made mag, that dose exactly what it is supposed to do i would buy from them again. 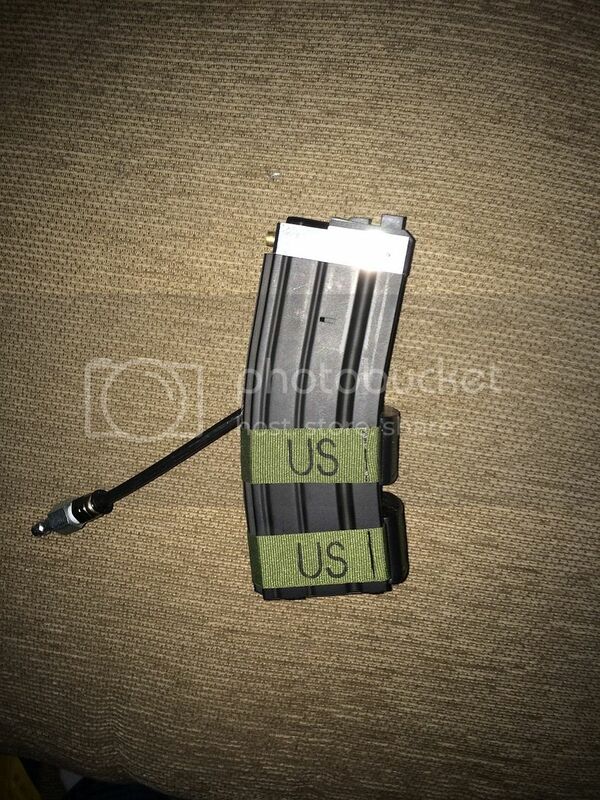 What is the BB capacity on the mags?